When Being Right Is SO Wrong! I am a recovered “need to be right” person. I grew up in an era and a home where “being right” was highly valued. From my first days in school, I saw that raising your hand and having the “right” answer meant you were smart. At home “being right” meant being loved for being smart. I was brainwashed into believing that when I was “right” I was good enough to be loved. Quite the ego boost! So many of us like to assume a rigid stance and “dig in our heels” to fight for our point of view, and prove how “right” we are (often about some pretty stupid stuff). The cost of needing to be right is hurting, harassing or humiliating the ones we claim to love the most. Over the years, I have finally learned to manage my mind and my mouth. I’ve learned that most of the time it’s not necessary to “correct” anyone on what I think is right or wrong unless it’s really pertinent to someone’s well-being. Now, when I am smart enough to “catch” myself, and I am about to blurt out something in order to be “right,” I slap some imaginary masking tape over my mouth and choose love instead. “We need a witness to our lives. There are billions of people on the planet…I mean, what does any one life really mean? But in a marriage, you’re promising to care about everything – the good things, the bad things, the terrible things, the mundane things – all of it, all the time, every day. For the 65% of Baby Boomers who are married, this ideal of marriage probably resonates. We DO want someone to share ourselves with and to eventually grow old with. Even for those Boomers who have divorced, most seek to remarry… to find a new lover, best friends, and partner for life. There is a disturbing trend happening today around marriage and commitment. One study shows that 39% of Americans say that marriage is becoming obsolete. It appears that marriage has lost its appeal for the younger generations, especially the Millennials (the 18-29-year-olds). They are pro-parenthood but anti-marriage. According to Pew Research Center, right now 61% of births to women 20-24 are out of wedlock while one in three births for women 25-29 are to unwed mothers. Clearly these are women who have not experienced the beauty and magic of a relationship that works. A relationship where two people choose to share a life together and to make a commitment to work through all the ups and downs, good days and bad days. What will it take to convince the younger generation that marriage isn’t obsolete? I think they need to hear from those who are happily married all the reasons why they find marriage valuable. Role models are needed and necessary, and clearly at this point in time, missing…. We’ve become a disposable society, not just with our trash, but also with the people in our lives. If a relationship becomes difficult we declare, “this isn’t working for me” and move on. We treat our cars better than people. At least with our cars we know and expect that they need regular maintenance – the oil needs changing, the tires rotating and brakes need replacing. And yet, even with the people closest to us, so many of us seem unwilling to put in a little time, energy and effort into working through our issues. Here’s the bottom line….we’re all going to get old someday. We can do it alone or we can make the effort to manifest a soulmate and then nurture them and have a best friend to share our golden years with. Even if you haven’t met “the one” yet, it’s never too early to learn the needed skills so that you can experience Big Love. P.S. The good news is that all the tools and tips we need to create an extraordinary, deep, loving, juicy relationship ALREADY EXISTS! I spent the last six months researching and interviewing the top love and relationship experts on the planet for my Art of Love Series, which recently concluded. These powerful love luminaries included John Gray, don Miguel Ruiz, Alison Armstrong, Neale Donald Walsch, Jack Canfield, Marianne Williamson, Harville Hendrix, Dr. Helen Fisher, Katherine Woodward Thomas, Gay & Katie Hendricks, Jean Houston and more. P.S. 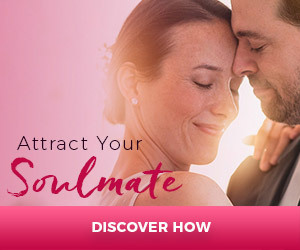 Manifesting the soulmate is the first step, learning how to keep and grow the LOVE is step two – get ready now with The Art of Love Relationship Series (no cost to participate). Love luminaries such as John Gray, don Miguel Ruiz, Alison Armstrong, Neale Donald Walsch, Jack Canfield, Marianne Williamson, Harville Hendrix, Dr. Helen Fisher, Katherine Woodward Thomas, Gay & Katie Hendricks, Craig Hamilton, Claire Zammit, Debbie Ford, Jean Houston and more show you how. The Art of Love Relationship Series <== Join The Love Fest! Can You Use The Law of Attraction To Attract Your Ex? One of the most frequently asked requests I get is from people who want to know if they can use the Law of Attraction to make someone fall in love with them or to win back an Ex. If you are a master at Law of Attraction, very possibly….however, I would caution you not to do this. Why? Karma baby! The Law of Attraction is very powerful but you don’t want to use it as a form of black magic, or as a way to control, dominate, or manipulate anyone. And, it may not get you what you want in the long run. Just because you think and feel someone is the “one” for you, that doesn’t make it so. If it isn’t happening organically, or the circumstances are not right for them (they are already in a relationship, or they are choosing not to be with you) I suggest you focus your attention on attracting someone who is open, willing available to BE with you. Ask yourself this: What is it I am really wanting to feel and experience with this person? Right now you are assuming that “having” this person is your only path to these feelings and experiences but reality is showing you that this is not true. You don’t need to understand why you can’t have the person, but you do need to understand that the things you desire to feel and experience can be yours when you are willing to let go of what doesn’t serve you. I know how painful it can be when you are yearning for someone who isn’t yearning for you. Many years ago I was in a difficult relationship where I was constantly trying to make things work and they never did. One day my friend said something to me that shocked me into reality. I instantly realized she was right. It wasn’t even his fault. He just didn’t have the capacity to love me. Had I tried to use the Law of Attraction to keep him, I would have ended up miserable. If you find yourself in this circumstance, take the time to uncover what you most want to feel and experience with a soulmate and then follow The Soulmate Secret (http://tinyurl.com/6tjvw8p) steps to love and make it happen. Everyone in the world should read this book. Why? Because it’s about relationships. It’s about finding your own bliss. Do You Believe in Fated Love? In case you were wondering, what the heck is Vedic astrology? It’s the ancient system of astrology from India and it’s AMAZING for looking at relationships and compatibility. In fact, it’s still used by the majority of the Hindu population to arrange marriages. They do what I did, call their astrologer to see if a marriage candidate is a good “match” or not. For years I’ve been consulting a friend of mine, Carol Allen. She’s both a Vedic astrologer and a relationship coach. She combines the best “out of this world” advice with the most cutting-edge “real world” advice in a great newsletter you can sign up for at the attached link. If you’re thinking to yourself, “astrology is silly…” you haven’t seen Vedic astrology. Her newsletter is 90% relationship advice (because even Carol will tell you, it’s more important what you DO in love, than what the stars are doing), and I highly recommend it. Carol offers an amazing compatibility report called, “The Right Man Report” that will to tell you if your relationships are “fated” and a good match, and what to do if they’re not…the report is only $19.97 (and it¹s 100% money-back guaranteed). You deserve all the support and help you can get on your journey to find and keep lasting love, and Carol can help.